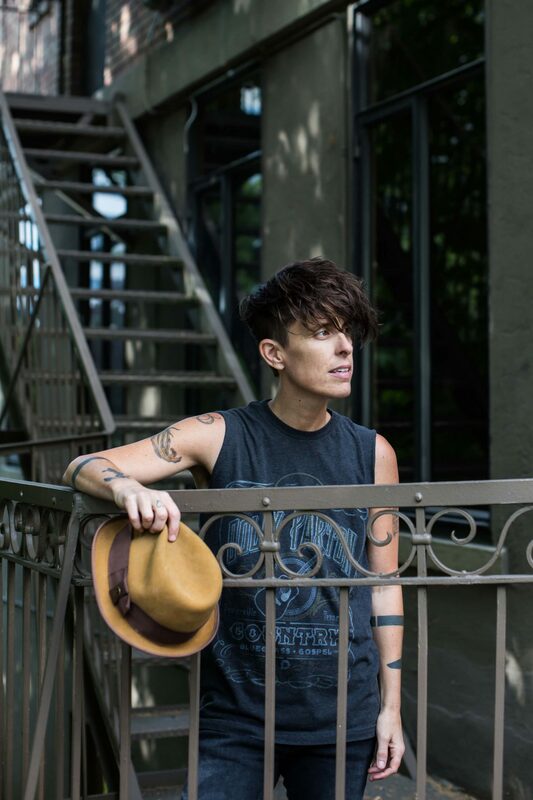 If Andrea Gibson tells you to create art you are terrified to create, you carve a pathway straight into the fear with your words. Gibson, of Boulder, knows fear. Gibson knows fear in the shape of shaky hands wrapped around a microphone. And fear in the form of a shaky voice or tears when Gibson stands in the spotlight, vulnerable, reading a poem. Lover, I smashed my glass slipper to build a stained glass window for every wall inside my chest. Now my heart is a pressed flower in a tattered bible. It is the one verse you can trust. Gibson will perform Saturday evening at the Chautauqua Auditorium in Boulder, in celebration of Boulder Pride Week. 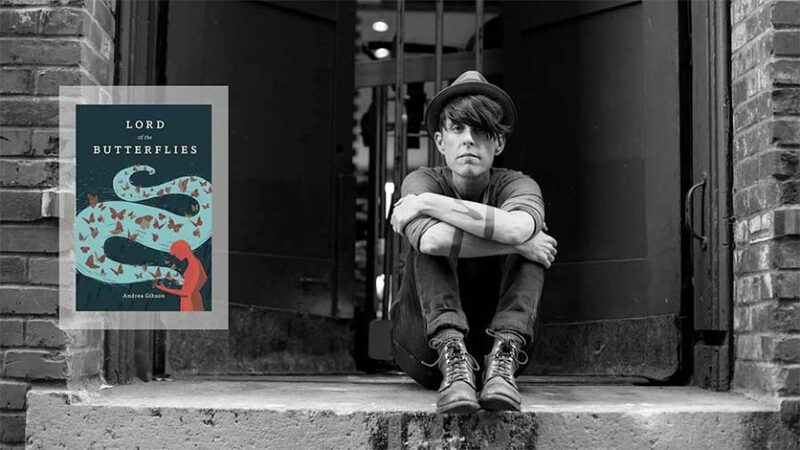 Gibson (who doesn’t identify on the “he/she” gender binary) has earned national respect as one of the best-known modern poets after winning the Women’s World Poetry Slam and publishing multiple books and albums. Gibson is gearing up to release a new book this fall, “Lord of the Butterflies,” and is writing another one — their most challenging project yet: a memoir. Gibson’s not ready to talk about it. Gibson once had a friend say, “Make art you are terrified to create.” So here Gibson is. Over the years, Gibson has headlined famous venues across the country, often sharing emotionally charged readings about gender, sexuality, love, spirituality, social class, bullying and more. It all began in Boulder. Gibson was born in Maine, lived in New Orleans and moved to Boulder in 1999 to chase a healthier lifestyle. At the time, Gibson was not an activist. 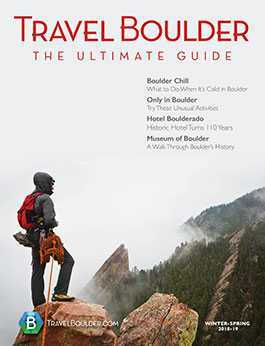 Gibson tries to imagine life without Boulder’s influence. This is where Gibson found Vox Feminista, a performance tribe of “radical feminists bent on social change.” Gibson became inspired to blend art and activism. However, Gibson’s life as a writer dates back to their first memories. In kindergarten, Gibson remembers a tiny callus growing on their finger from holding the pencil. “I remember my hand was changing shape to prove I was a writer,” Gibson says. But to share those poems on stage? That was different. Gibson doesn’t consider themselves a natural performer — even after 14 years of touring the country, bringing crowds to their feet. Maybe that’s one thing that has contributed to their success, Gibson says. Gibson fell into slam poetry by accident. One night, after a pretty big heartbreak, Gibson was hanging out at a (now-closed) coffeehouse called Penny Lane in downtown Boulder. It was open-mic night, just like every Monday night. Gibson says they felt like they had nothing to lose. They pulled out a break-up poem. A week later, Gibson read again at a poetry slam in Denver. They began regularly attending poetry slams at the Mercury Cafe in Denver and ended up joining Denver’s competitive slam team. Gibson competed in national contests, and other cities began inviting Gibson to perform. At first, maybe five people showed up. The next year, maybe 15. But as the slam poetry movement grew, so did Gibson’s audiences. Soon, Gibson was on the road more than they were home. People told Gibson performing would get easier over time, but it never did. Gibson says they still feel just as terrified as the first time. There’s a saying: The number of nerves you feel for an experience is equal to the amount of respect you feel for it. So Gibson tries to see the nervous jitters in their stomach as “respect butterflies,” an expression of honor for the art of spoken word poetry. That’s one of Gibson’s proudest accomplishments: bringing poetry to the mainstream. Bringing an audience to their feet over a poem in a rock club that normally only welcomes musicians. These days, Gibson can’t stop writing. Maybe it’s because of the political environment, but Gibson says they can’t stop making art. “I’ve never had so many things coming out at once,” Gibson says. Lately, Gibson has felt compelled to write about gun violence, gender, mental health and suicide in the queer community. Gibson just wrote a poem about their very first love, as well as an “ode to the public panic attack,” about their struggles with anxiety. You might hear some of this work at the Boulder Pride event. Gibson just wrapped up their longest tour yet, only four days off in five months. Their new book comes out in November, when a new tour will launch. And the memoir is supposed to hit shelves in the spring. Which brings us back to fear. Gibson thinks it’s important to find these fears and examine them. Until the winter tour, Gibson has a few scattered shows but is focused on writing. Gibson used to write in coffee shops but writes at home now. You see, Gibson writes out loud. “I write running around my house hollering things at the walls and whispering things to the couches. 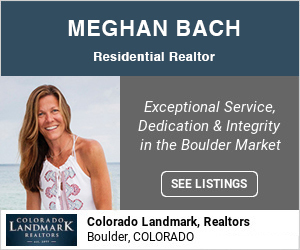 If I tried to pull that off at a coffee shop, it would be entertaining to people, but I’m not sure even Boulder’s ready for that yet,” Gibson says.